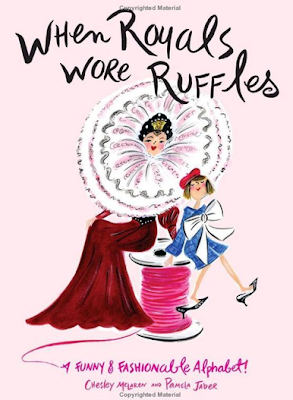 I came across a darling book this week - it's a fashion alphabet, called When Royals Wore Ruffles. The illustrations, by Chesley McLaren, are wonderfully whimsical. 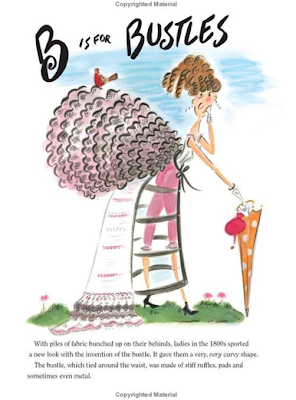 McLaren is no stranger to fashion - she's sketched looks from Chanel to McQueen, and her work has been featured by Henri Bendel, Express, and Estee Lauder. 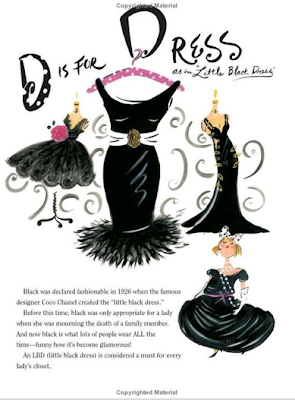 And, she illustrated Town and Country's Social Graces. Need I say more? (SUCH a T&C fan!) Without further ado, a sampling of her illustrations (see below for book information). 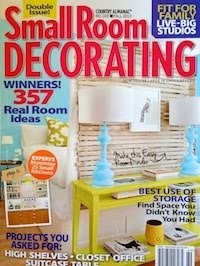 All images, Amazon.com. 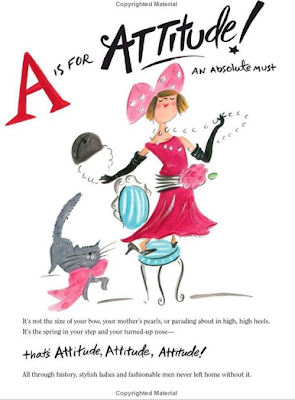 To purchase, visit When Royals Wore Ruffles: A Funny and Fashionable Alphabet! 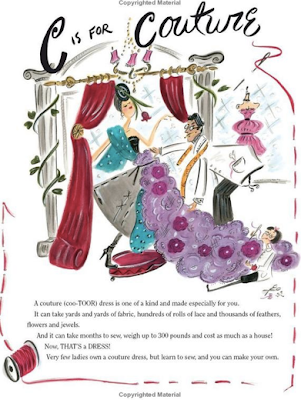 These illustrations are quite simply darling! They'd be a perfect gift for the fashion-fan. oh that is adorable. i'll need to get this for my niece (or myself).